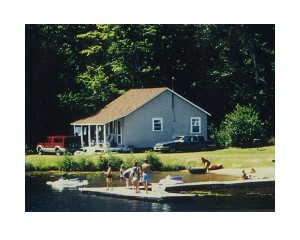 Our cottages all border on the beautiful Pickerel River, a water system that is over 60 km long. Each cottage contains a cozy kitchen/dining area, living room, 2 or 3 bedrooms and a 3 piece bathroom (tub or shower). The kitchen is equipped with electric range, refrigerator, microwave, dishes, pots, pans and cutlery. The cottages have electric heat. A BBQ is located on the deck of each cottage. We supply blankets and pillows, but do not supply bedding linen or towels in our regular cottages, but are available for rent with advance notice. Deluxe cottages feature a wood burning fireplace, dishwasher and bedding and towels supplied. Meals and maid service are optional.